I definitely consider myself a homebody. Sure I love to be out and about and discovering new places and spaces, but home will always be where we find the most comfort. From lounging on the sofa with a cozy blanket and a cup of hot cocoa, to laying in bed with a good book in the cutest pjs. I’m all about it, especially during the holidays. There’s that magic feeling of about it and I am sure I am not the only one who thinks so. I’ve rounded up some great gift ideas for the homebody. So many cute and cozy things and all under $40! • This faux fur robe is such a great gift idea! It’s thick and super soft. Perfect for keeping you warm during the winter. It doesn’t shed and the quality is so good. Such a luxurious feel for under $40. • I thought this beanie was the absolute cutest when I saw it. Ordered it and currently waiting for it to arrive. I love the color combo and fuzzy look to it. 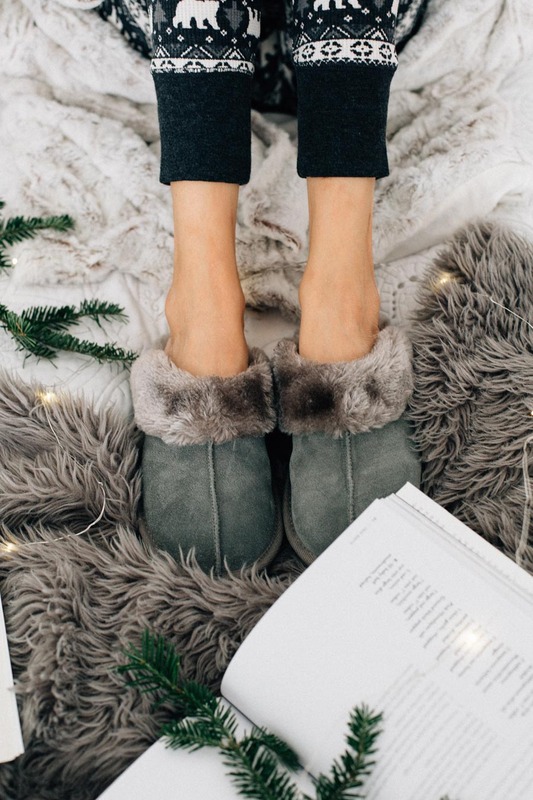 • These slippers are an UGG dupe (Only $20) and I think they are great! Amazing quality and very comfy. Been wearing mine nonstop.